Here is the current weather forecast for Puerto Galera and the Philippines, presented in dynamic form. You can select a future forecast for up to seven days, and also change the overlay from wind to alternatively view: waves, temperature, pressure and precipitation. 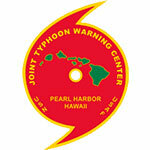 This Joint Typhoon Warning Center advisory link provides early warning of tropical storms and typhoons by indicating locations where the weather conditions are currently conducive to the formation of tropical storms and typhoons. Receive Twitter PHILIPPINES TYPHOON WARNINGS ALERTS for typhoons & tropical storms that may directly affect Puerto Galera and other popular Philippine water sports and sailing areas. The Tyhoon Warnings Warnings Alerts service is a free service provided by the Puerto Galera Yacht Club since 2003. Looking for typhoon warnings, the last known position, expected track and typhoon strike probability of CURRENT TROPICAL STORMS affecting Puerto Galera, the West Pacific, West Philippine Sea and the South China Sea? 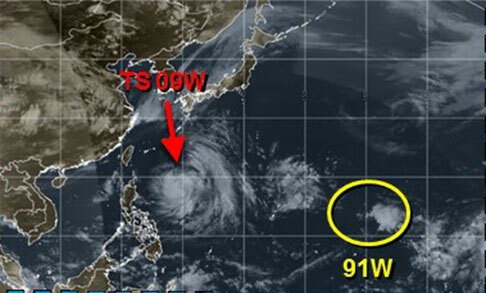 We recommend: Joint Typhoon Warnings Center you visit this source first. Philippine weather, for sailing, has two distinct seasons, with a messy mixture of remnants or nothing for a few weeks in between: Northeast monsoon "Amihan" winds, from November to April; and, Southwest monsoon "Habagat" winds, from May to October. 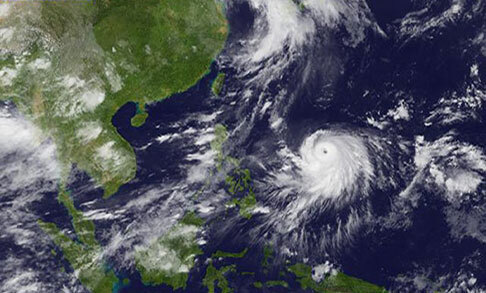 Tropical storms and typhoons (hurricanes / cyclones) may affect Philippines weather at any time of year but most frequently from April through to November. Typhoons almost never affect the sailing around Mindanao, because it is too far South, creating excellent cruising opportunities from Samal Island (in the Davao Gulf), East then North to Siargao and the Surigao Strait, along the North coast to Cagayan de Oro, and to Dapitan (Zamboanga Del Norte), with excursions through the southern Visayan region (Bohol through Negros to southern Palawan). 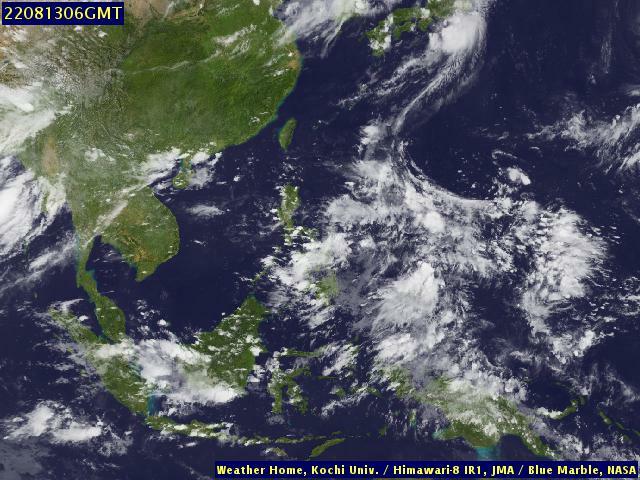 Although the weather is almost always favorable, we do not recommend West of the Davao Gulf nor West of Dapitan. Because the Philippines is so strategically located, between the West Pacific, the West Philippine Sea and the South China Sea (with many shipping lanes and air corridors), Puerto Galera weather forecasts, Philippine weather forecasts and typhoon warnings are available through a myriad of different weather forecast sources. Puerto Galera weather forecasts and Philippines weather forecasts contain hourly, six hourly, daily and weekly weather forecasts & updates, including satellite imagery, barometric weather charts and weather webcams. You may also be interested in additional Philippine weather information about weather features and phenomenon related to Puerto Galera Weather & its micro climates, Monsoon Weather and the answer the question What Is A Typhoon? Enjoy! For very long range Puerto Galera weather forecasts of potentially active tropical storms you should visit the Tropical Storm Risk website, which offers predictions primarily for the purpose of insurance risk assessment but it is a useful resource for all. The Fleet Numerical Meteorology and Oceanography Center ("FNMOC") of the U.S. Military, provides a seven day forecast of wind at various levels above the sea surface in the West Pacific, West Philippine Sea and South China Sea.